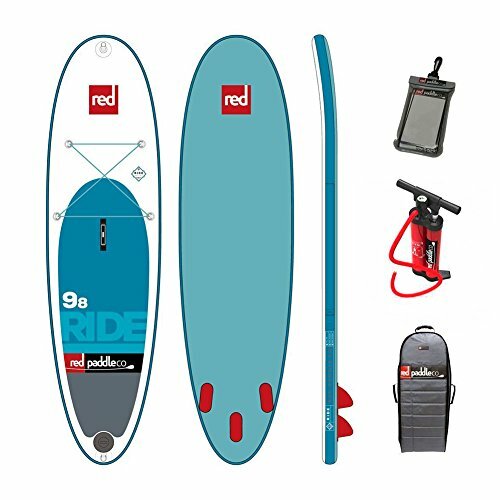 The award winning 2017 Red Paddle RIDE Inflatable Paddleboard. Quality, innovation, and design all packaged in the most versatile board of the Red Paddle family. The RIDE collection of boards from Red Paddle Co. are designed for use across a wide range of conditions by all experience levels. Welcome to the exciting world of Red Paddle Co. inflatable stand-up paddleboards. A world where you can go wherever you want, whenever you want. Throw your Red Paddle inflatable SUP in the car, take it on a plane, carry it on your back – just take it with you. The unpack it, inflate it, and explore. The versatility and performance of Red Paddle SUP will make every waterway an avenue for adventure. The opportunities are endless. Why Red Paddle? Practicality: The liberating thing about an inflatable SUP is its portability. You don’t need a van, truck or roof rack to take it on a road trip, or even a large space to store it at home. All Red Paddle boards can be rolled up into a compact bag that can be carried on your back or rolled behind you. Innovation: Each year Red Paddle improves certain elements and integrates new technology. In 2016 Red Paddle introduced MSL fusion technology, the most advanced inflatable paddleboard construction method available. In 2017, all boards include Ram Mounts to fit accessories such as fishing rods and cameras. 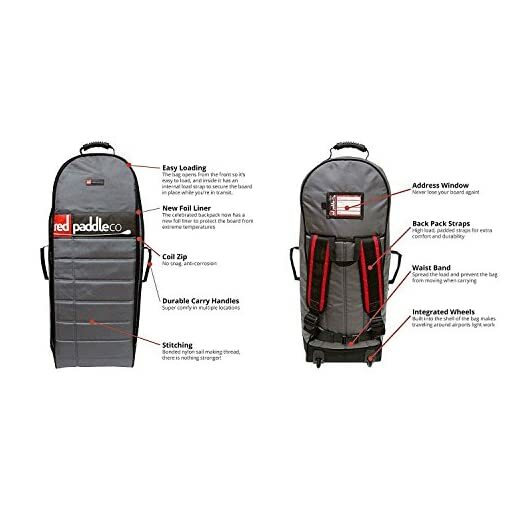 Additionally, all backpacks include a new foil liner to protect the board from extreme temperatures. 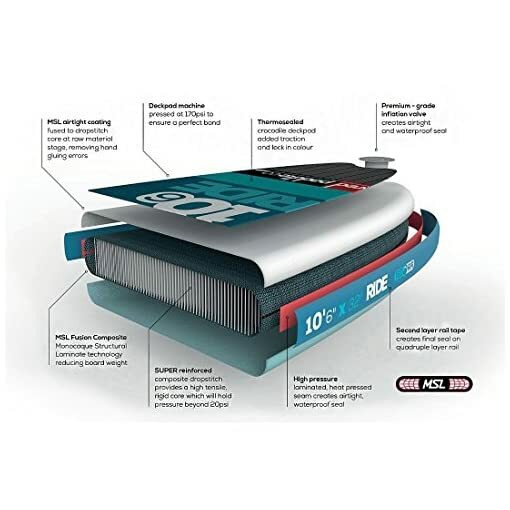 Performance: Red Paddle uses the best technology to design boards that are unrivaled in the inflatable industry, and are on a level with hard boards in terms of performance. 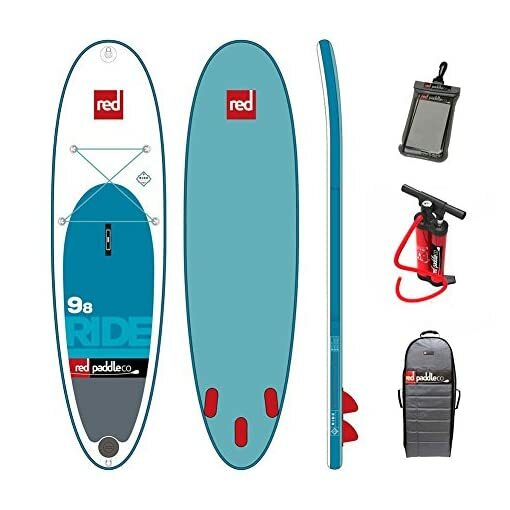 Red Paddle’s exclusive MSL technology combined with the RSS stiffening system, every Red Paddle board maintains its shape while retaining the same incredible maneuverability. Shorters model are better suited for surfing and lighter riders while the longer models are suited for bigger and family paddlers. 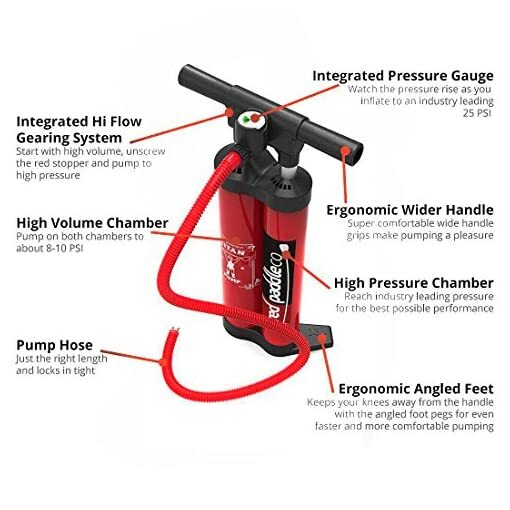 Includes: Red Paddle Co. backpack, Titan Pump, Repair Kit, RSS battans and Water-Resistant Phone Case.